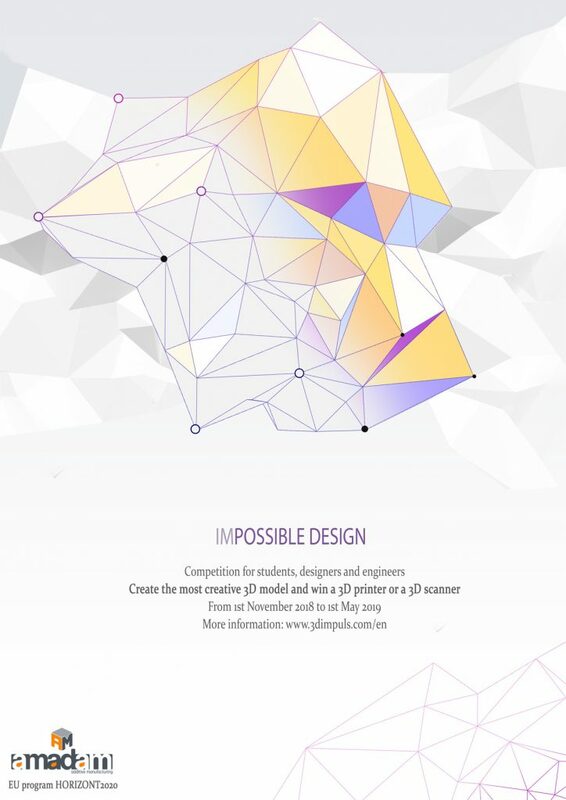 ImPossible Design is a competition for the best design solution and prototype design for young designers. The motive for organising the competition is to promote additive manufacturing (the so-called “3D printing“) based on the principle of “layer by layer” manufacture, which allows the release of designers’ creativity and innovativeness in new product development. The most successful solutions will be awarded 3D printers and a scanner at the winners announcement ceremony during the exhibition “ImPossible Design – A_MADAM”, which will be organised in September 2019 within the manifestation “The Researchers’ Night” in Belgrade. The competition “ImPossible Design” is a part of promotional activities of the “A_MADAM” (Advanced Design for Optimal Dynamic Properties of Additive Manufacturing Products) project, which belongs to the group of “Marie Skłodowska-Curie” actions within the European Commission’s Horizon 2020 programme. All information about the A_MADAM project can be found at www.a-madam.eu. Applications are open until May 1, 2019.